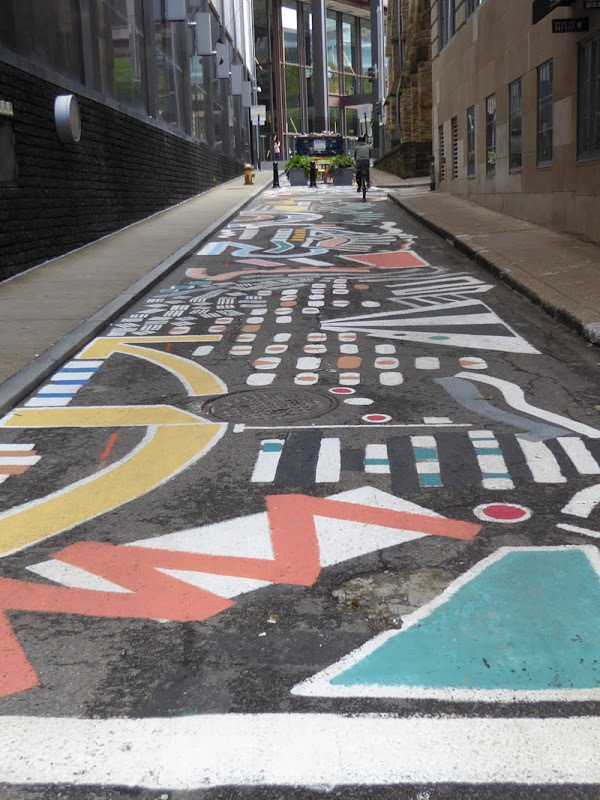 The Pittsburgh Downtown Partnership (PDP) has been working since 2003 to improve the environment of this alley that connects Liberty Ave to Grant St. 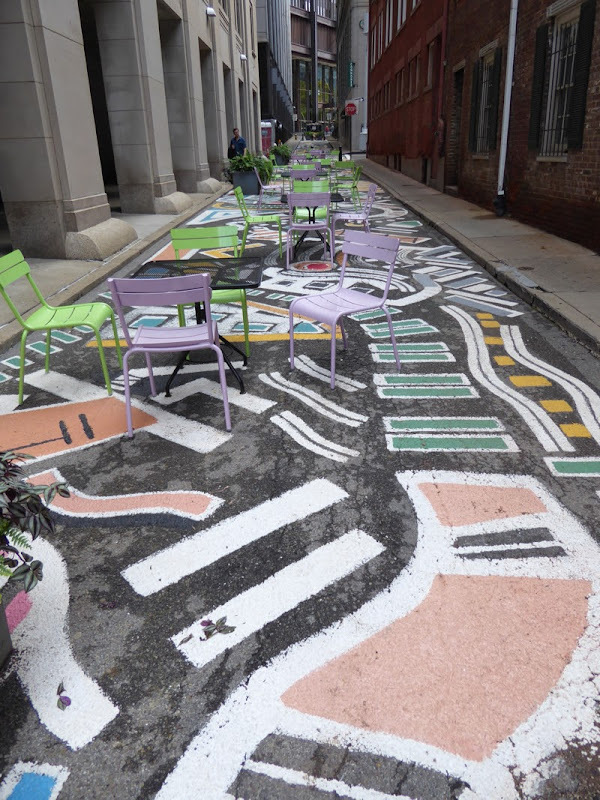 Heavy pedestrian use has inspired the PDP and local businesses to turn it into an inviting, pedestrian-only area. Over the years there have been some smaller art installations, but starting in 2016, they went big. 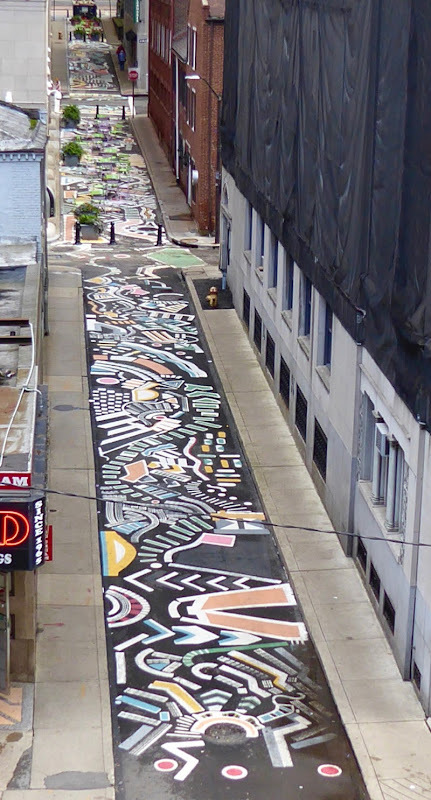 The entire three block stretch of pavement is now covered with a mural. The art is temporary and the plan is to replace it with something new every few years. 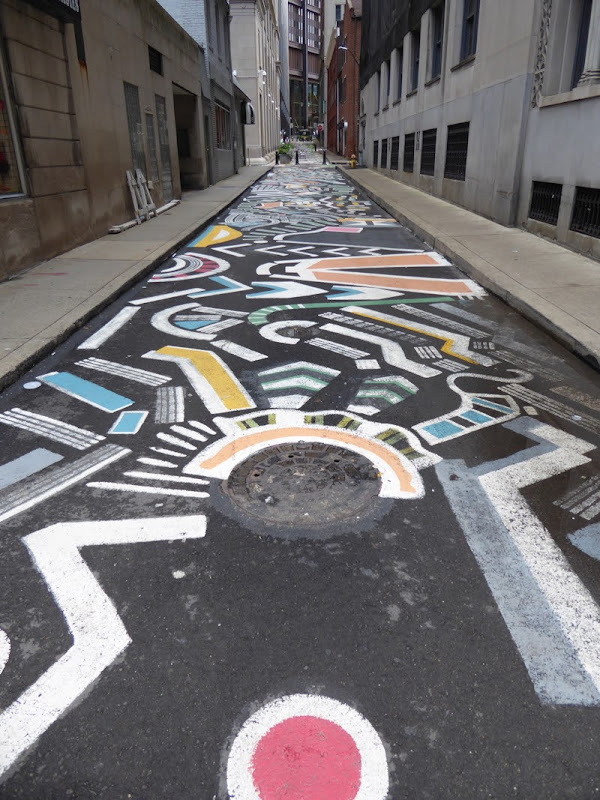 According to the Office of Public Art, Mance’s mural design was influenced by the surrounding architecture in Strawberry Way and the region’s curvaceous topography.